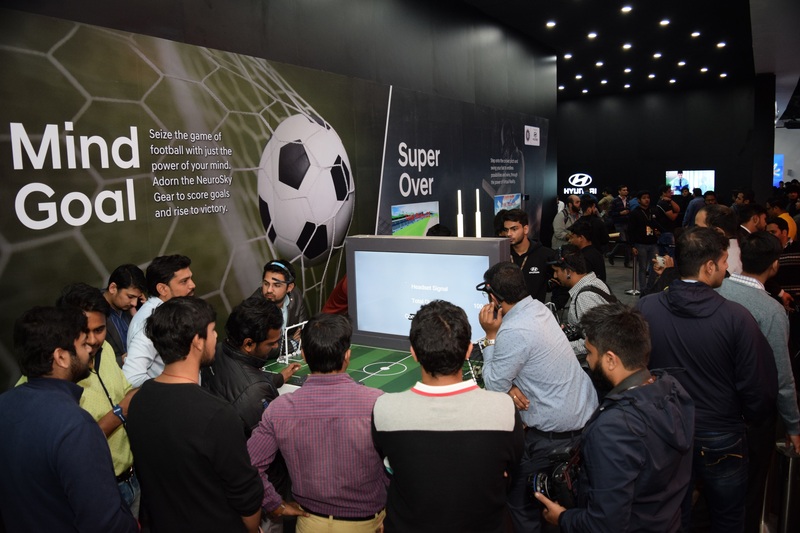 Greater Noida, February 10 2018: Hyundai Motor India Ltd (HMIL), the country’s second largest passenger car manufacturer and the largest exporter since inception, created exciting digital and social media engagement for the visitors at Hyundai Pavilion at the ongoing Auto Expo 2018. The Hyundai Pavilion set pulses racing with cutting-edge digital technology and social media platforms to create an innovative, interactive experience for visitors and connect online audience who could not visit the Auto Expo 2018. To keep up with the theme of ‘Experience Hyundai’, we have introduced ‘GIGA Selfie’ first time in India to add ‘Brilliant Moments’ to the auto enthusiasts visiting Hyundai Pavilion. The GIGA selfie will allow the visitors to take a photo of themselves and the entire Hyundai pavilion. Hyundai Pavilion is RFID (Radio-frequency identification) enabled, letting the enthusiasts share their experience online on a real time. To ensure that Hyundai fans who have not been able to visit Auto Expo do not miss out on the experience, we are using our website, social media channels – YouTube, Facebook, Instagram and Twitter to live webcast the opening ceremonies and other highlights from the Auto Expo. Commenting on the digital experience, Puneet Anand, Sr. General Manager & Group Head – Marketing, Hyundai Motor India Ltd. said, “Hyundai is an innovative brand and has strong focus towards digitalization of our pavilion. Through the Unique, Innovative and Interactive experiences, our aim is to make auto enthusiasts and fans ‘Experience Hyundai’ closely. Hyundai is a young and dynamic brand and closely associated with sports globally through these unique engagement activities we want to showcase our brand values with visitors and realise our commitment of being “Lifetime partners in Automobile and Beyond” for our valued customers”. As a young and dynamic brand, Hyundai is associated with BCCI and FIFA, and is bringing real life experience on a Cricket Pitch and Football Penalty Shoot Out through Virtual Reality. ‘Virtual Header’, promises an immersive football virtual experience where visitors have to score goals only through headers. ‘Mind Goal’, is a multi-player, digital football game that puts visitors through the daring test of utilizing the power of just their mind by adorning Neurosky gears – a brainwave headset, that will facilitate visitors to score a goal against their opponent by focusing their mind. For those who love to be behind the wheel and feel the thrust of a powerful engine, the ‘Racing Motion Simulator’ offers visitors a truly powerful experience of being on a race track behind the wheel of some of Hyundai’s best sports cars. The digital sports zone will be equipped with a leader board giving visitors a chance to keep win exciting prizes.